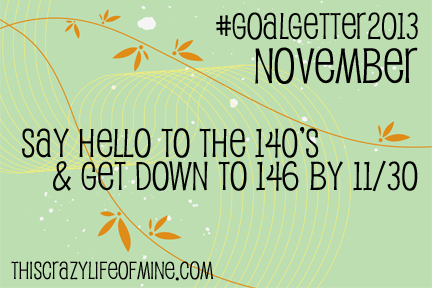 Goalgetter2013- How did I do in November? So, how did I do? 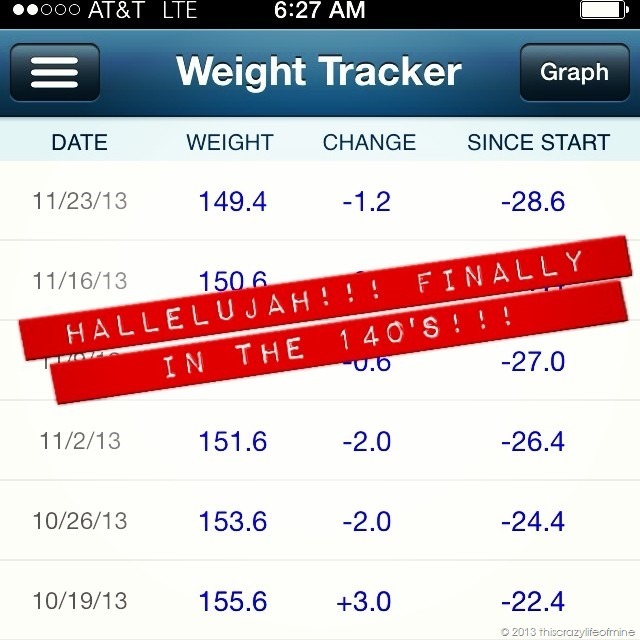 Well, I made it into the 140’s for one week, but I did not get down to 146 by the end of the month like I had hoped. 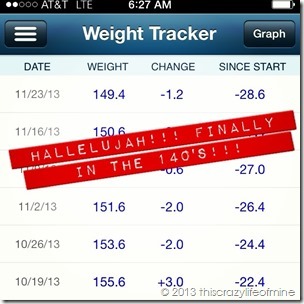 Seeing the scale hit the 140’s, even if for just a brief moment, was so exciting. Given that it was the weekend BEFORE Thanksgiving and one that I would be off and away from my normal routine, meant it would be a challenge. And it was. Excuses? Maybe, but all these factors worked together to cause a gain at yesterday’s weigh-in and put me back in the 150’s. But, despite what the scale says, this last month has brought with it a lot of changes that I feel and see. My clothes are fitting different, I’m back in size 10 jeans, and I am wearing shirts from the back of my closet that I thought I wouldn’t be able to wear again. I am a firm believer in that when you eat right and work out, there will be weeks the scale will go down and other that they won’t, but you will still feel it because your body is rearranging itself. It can take awhile for it to catch up to what the scale says. 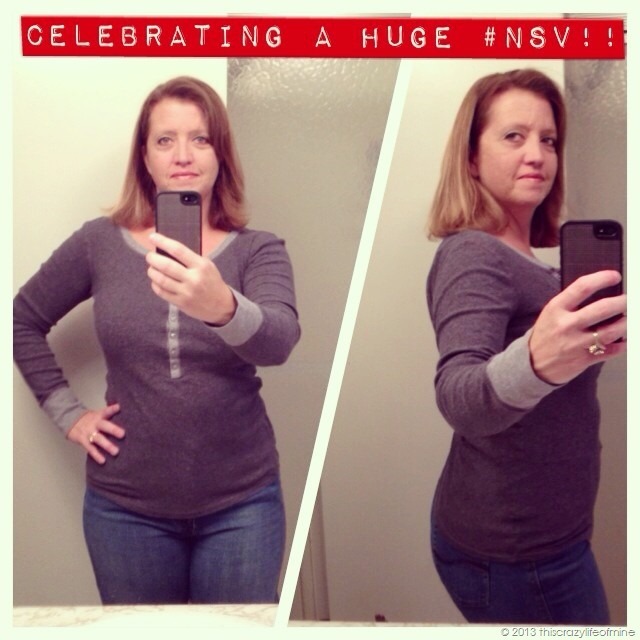 These non-scale victories are a huge motivator to keep pushing, to keep going! Goalgetter2013 – How did I do in January? Goalgetter2013 – How did I do in February? Goalgetter2013 – How did I do in March? Goalgetter2013 – How did I do in April? Goalgetter2013 – How did I do in May? Goalgetter2013 – How did I do in June? Goalgetter2013 – How did I do in July? 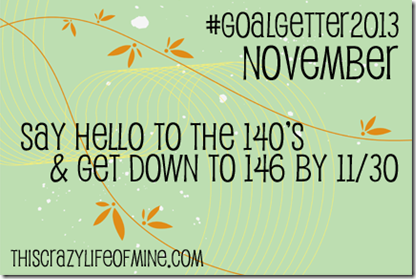 Goalgetter2013 – How did I do in October? Goals are most successful when broken up into smaller goals! Post a picture on Instagram on the last day of each month to show how you are working toward achieving your goals! Use the hashtag #goalgetter2013. Visit the #goalgetter2013 Facebook page today! How did you do with your November goals? You look great! I agree the numbers on the scale while they do make you happy to see them go down, the clothing makes a much bigger statement. Hopefully you can keep it up through the holidays. 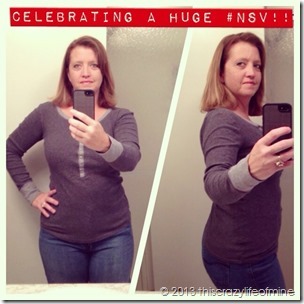 Congrats on the scale and the non scale victories. I was also amazed by your half marathon pics from this year and last year. You can tell you have been working hard and it is paying off. » Goalgetter2013 – How did I do in December? Good post. I’m checking continuously this specific blog page exactly what impressed! Handy details specially one more part We take care of these information and facts very much. I’d been trying to get this specific details for years. Many thanks and also best of luck.